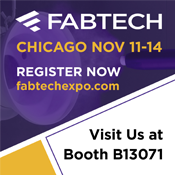 Provides a complete painting facility for trucks based on the same engineering principles as our downflo auto booth. 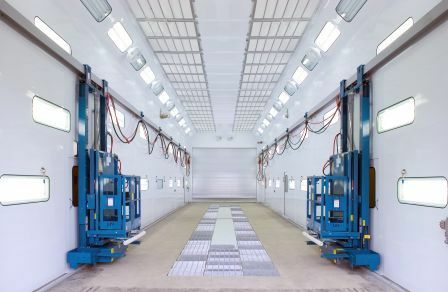 The Custom Aire DOUBLE ROW DOWNFLO TRUCK spray booth provides a complete painting facility for trucks based on the same engineering principles as our DOWNFLO AUTO BOOTH. Filtered air is introduced evenly over the ceiling of the booth and is drawn smoothly down the sides of the truck and through the grating that makes up most of the floor of the booth. The over-spray is trapped in the exhaust arrestors located in the floor and the remaining air and vapors are exhausted into the atmosphere. The pit is designed to provide maximum air flow in the booth and is covered with two rows of grating, one on each side of the vehicle. Constructed of 18GA galvanized steel, the booth is easily assembled by following AFC supplied instructions and blueprints. The Custom Aire DOUBLE ROW DOWNFLO TRUCK spray booth comes in two standard models (TDF or Truck DownFlo and TDF/DT or Truck DownFlo Drive-thru) and is also available in custom sizes to fit specialized needs. Consult AFC for further information and pricing. Options shown include Turbo Cure System, personnel lifts, white powder coating, and roll-up doors.